Majority of the mortgage programs dedicated to assist single mothers to purchase house are aimed at low-income women. If you are a single mother who is facing financial hardships in buying a home for you and your kids, then you should do adequate research to find out a home mortgage program that suits you best. A large proportion of the houses in the country are owned by single mothers. Single women may be looking for extra security for their kids by securing a home. Many single mothers, who face difficulty in making ends meet, may harbor the hope of owning a home for her and her kids. Different types of programs are also available. You can take advantage of various mortgage programs to fulfill your dream of owning a house. 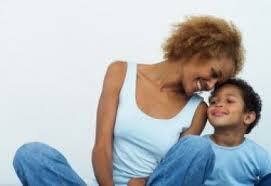 Here we discuss different programs dedicated to the single mothers. This housing choice voucher program is backed by the Department of Housing and Urban Development (HUD). This is a very good program aimed at the single mothers to purchase a property. The main aim of this program is to ensure that all the households can obtain sustainable housing irrespective of the level of income. The Public Housing Agency is responsible for looking after the funds that have been dedicated for this program. If you are a single mother and if your income is 50% or lower than the state median income, then you may qualify to get this fund. HUD maintains a list of low-priced foreclosed houses. You can use your housing choice vouchers to purchase your home. These are good programs to assist low-income households and single moms who otherwise do not qualify for a home loan. These offers are not directly made by the government. Instead, these are offered by the private lenders. Government serves the role of a guarantor. Since these offers are guaranteed by the government, lenders find these offers very attractive. Another advantage of this program is that this can be offered in unison with other assistance programs. These programs may include housing vouchers, grants, down payment loans, etc. This program is aimed at helping the low-income individuals in obtaining mortgage loans, construction loans, down payment assistance and many more. In order to become eligible for this program you must fulfill the income requirement. If your income is more than 80% of the median income in your state, then you will not be eligible for this special offer. So, your single motherhood status will not ensure that you will be eligible for this offer. You should also fulfill the low income criteria in order to qualify. In some situations, individual states offer special home purchase assistance programs to help single mothers to fulfill their dream of owning a home. Sometimes, counties and cities also come up with such offer. You need to keep a vigil on these offers so as to make your dream of purchasing a home come true. Jessica Bennet with her vast experience in the mortgage industry has been associated with the MortgageFit Community as a Mentor. Not only does she participate in the community forums t give her suggestions, but also makes her contributions through different articles on mortgage.